Jerome Silverberg is a partner in the Fort Lauderdale office of Lewis Brisbois and a vice chair of the firm's Medical Malpractice Department. 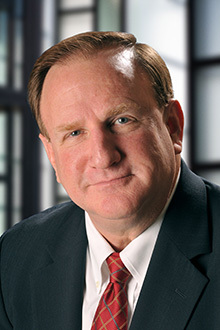 Throughout his career, Mr. Silverberg has dedicated his practice to insurance defense, particularly in the areas of medical and legal malpractice, long-term care; nursing homes, assisted living facilities, hospitals and nurses, physician groups, managed groups, products liability, toxic tort, trucking accidents and general negligence cases as well as professional liability defense, including attorney malpractice and insurance broker/agent errors and omissions. He has litigated cases throughout the state involving catastrophic injuries, including severe brain-damaged neonates, trauma surgery, complex obstetrical issues, cardiovascular and spinal cord injuries. In addition, Mr. Silverberg handles all aspects of informal investigation and formal administrative complaints filed with the Agency of Health Care Administration and the Florida Board of Medicine. Mr. Silverberg has received an “AV” rating from Martindale-Hubbell. Mr. Silverberg began his career in the defense of healthcare providers as Associate General Counsel for the North Broward Hospital District, a Special Tax District of the State of Florida, which operates four hospitals in Broward County and comprises one of the ten largest public healthcare systems in the nation. In that capacity, Mr. Silverberg was involved in providing legal counsel to the seven-member Board of Commissioners as well as acting as Assistant Attorney Administrator of the Risk Management and Self Insurance Programs of the District. Mr. Silverberg developed hospital protocols and procedures and has been requested to present continuing medical education seminars to physician and medical staffs at various hospitals in the areas of risk management, malpractice litigation, and Agency for Healthcare Administration investigations of medical professionals. Mr. Silverberg has extensive litigation experience in the courtroom with a solid trial record and has handled all types of medical cases through to verdict.